These days, we’re witnessing a multitude of crises throughout Iran. These different events which gradually join one another mount to a very strong movement, a movement that can cause fundamental change. In a country that its people have been enchained in tyranny and poverty for decades, any crises can spark the powder keg of protests. Water crisis in Iran is one of these crises which has become the source of social, ethnic and security problems for the regime in Iran. 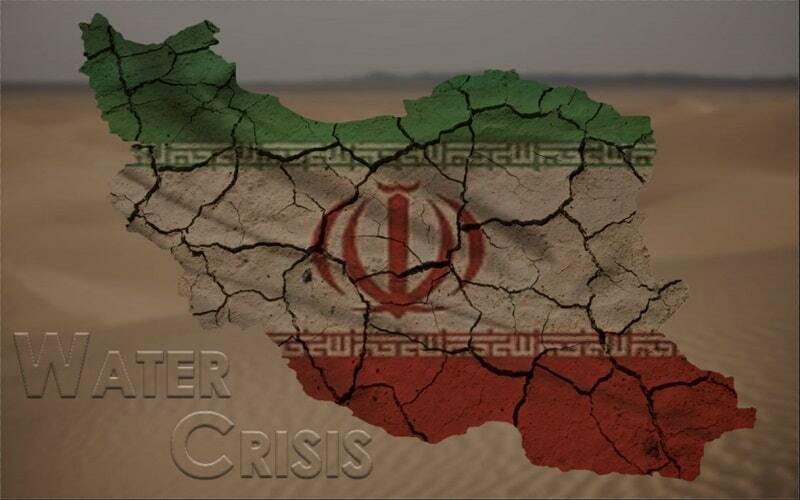 The water crisis that is currently engulfing the lives of people in different regions of Iran, like many other crises in Iran, is the result of the corrupt and destructive policies of the ruling regime. Particularly, the water crisis in Iran has hardly hit people’s lives in the central and southern provinces of Iran as well as Sistan & Baluchistan province in southeastern Iran. This water situation is so striking that the northern people of Iran also suffer from it. The farmers of Isfahan have been hit the worst because governmental institutions and factories that belong to the Revolutionary Guards Corps are looting their water resources. Zayanderood, the largest river of the Iranian Plateau in central Iran. Especially, Zayanderood, the largest river of the Iranian Plateau in central Iran, has been over-exploited by the IRGC. The main reason behind the water shortage in Isfahan is building the unusual number of dams and canals that are meant to serve the purposes of the IRGC. This has threatened the farmers’ means of living in Isfahan because they rely on the river to irrigate their lands. For this reason, the farmers of this region have been protesting against the destructive policies of the Iranian regime for several months. But the regime officials have not taken any concrete measures, if any at all, to solve their problems. 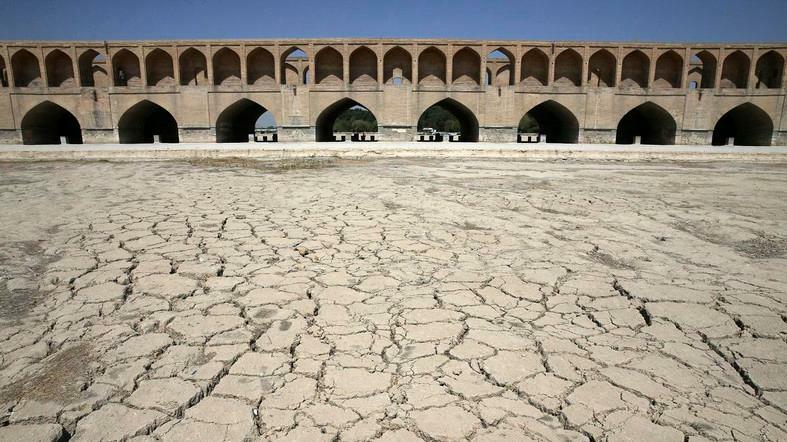 Water crisis in Iran has intensified in the past years. Thousands of villages have become deserted because of water shortage and their inhabitants have migrated to the outskirts of large cities, where they live in utter poverty and misery. In urban areas, the situation isn’t much better. In some cities, instead of pure, clear water, the people have to do with muddy water coming out of their homes’ taps. In some cases, not even the muddy water is available. Karun Iran‘s most effluent and only navigable river. It is 950 km (590 mi) long. It rises in the Zard Kuh mountains of the Bakhtiari district in the Zagros Range, receiving many tributaries, such as the Dez and the Kuhrang, before passing through the capital of the Khuzestan Province of Iran, the city of Ahvaz before emptying to its mouth into Shatt al-Arab. 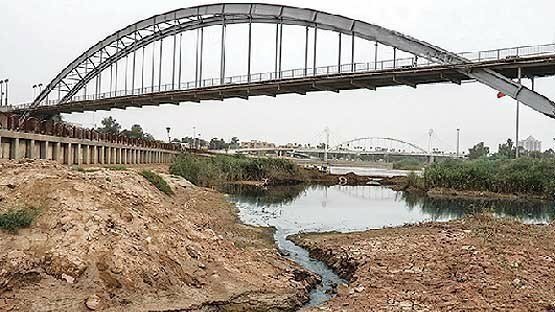 In Ahvaz city, through which passes Karun, Iran’s only navigable river, the drinking water is not only not purified but it is muddy. “The Anzali Wetlands in northern Iran is nearly destroyed”, cites the state ILNA news agency. Recognized internationally and considered one of the largest homes to migrating birds and fishes in Iran, the Anzali Wetlands are now sharing the fate of 60 other wetlands across Iran that are on the verge of complete annihilation due to wrong policies adopted by the ruling mullahs’ regime. 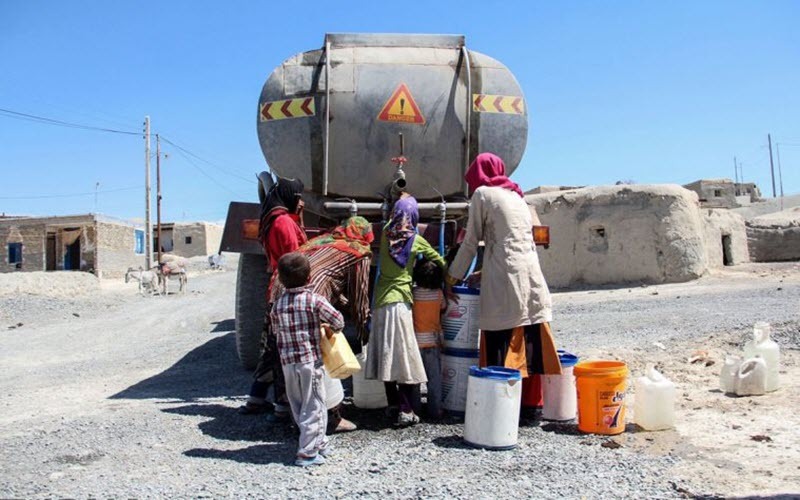 IRNA official news agency quoting the head of Water and Sewage Organization; villages department, said that due to the shortage in water resources, drinking water is delivered to 110 villages in Golestan Province (N) with 44849 inhabitants by tankers. This report also blames the regime for its negligence of meeting the needs of this province including water ration for farmlands. Former Iranian agriculture minister, Issa Kalantari, said: “If water resources are used without control, water shortage will make 50M of 80M Iranians leave the country”. “Before in 2013we had 6 dried plains each year but from 2011 to 2018, this number has increased to 16 plains for each year”. Iran is currently facing a drought. But the main reason for the water shortage is not 100% the drought. Instead, the blame is on the regime ruling Iran and its destructive policy of building substandard dams and unqualified control of them that leads to this shortage. They have destroyed jungles and wetlands by their very inefficient agricultural system. Water resources are literally stolen and rerouted for military purposes and for the industries which are controlled by the Revolutionary Guards. Add to that the uncontrolled well diggings and … These measures have destroyed Iran’s water resources and pushed the entire country into an unprecedented water crisis in many provinces. Mullah’s regime has dried up lakes, ruined arable farmlands, and destroyed livelihoods in rural areas. As a result, millions have moved to the cities looking for jobs. Now millions in Iran are unemployed and cannot provide themselves. Worse, the climate change is predicted to make Iran hotter and drier in the years to come. It is expected that Iran will see a 25% decline in its surface water by 2030 which would be a disaster. Despite the dire economic situation and the hunger of the people, the mullahs regime instead of solving the water crisis in Iran, is plundering Iran’s wealth, pouring it into foreign wars designed to prop up dictators (Syria), support terrorism (Hezbollah, Hamas), suppress the people of Iran, or to fill their own pockets. This is unbelievable what this regime is doing with our ancient motherland. Hope to achieve our freedom ASAP to be ably preventing this regime from damaging Iran more! The mullahs have not left a place for Iran. The water crisis is one of the other traces of these crimes in Iran, which was mentioned in your article well. Over the past 40 years, the Iranian regime, like a destructive tsunami, has destroyed all the human, cultural, financial and social values of the Iranian people. Your article rightly points to this fact. In my opinion, the only way for Iran to flourish is to change the whole system of fascist and corrupt fundamentalist mullahs. I read an excellent analysis of the Velayat-e Faqih’s regime engulfed by internal and international challenges on the website of the Iran Freedom. In this article, while explaining the crises of the Iranian regime, pointed at the main parameter that will guide Iran’s crisis in 2019 towards its downfall. And finally what is the utmost challenge that the regime would be facing in 2019? I appreciate for providing these details into the water crisis in Iran and what the Iranian people are suffering from. Of course, there is no end and solution to the crises and disasters in Iran under the theocratic ruling. Because of the regime, its own-self is the creator of this horrible situation for Iran and Iranians. 40 years since the rule of Khomeini regime. In 40 years, in a country like Iran with unsurpassed reserves and tremendous fortune, and a fourfold climate of great human power, it turned the country into Golestani. During this 40 years, the regime has dried up the seas and wetlands and rivers. From Lake Urumieh to Qom Lake and Gavkhoni Lake, Arvand River and Zayandeh Roodh … All this is the result of the rulers of these plunderers.